The next meeting of the Washington Crossing Historic Park Book Club will be led by museum curator Kimberly McCarty on Wednesday, February 20, at 5:30 PM in the Visitor Center. 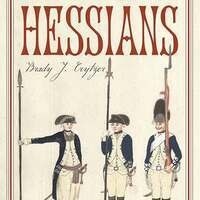 In this meeting, we’ll begin discussion of a new book by Brady J. Crytzer titled Hessians: Mercenaries, Rebels, and the War for British North America. Before the meeting, please read the Preface, Prologue, and “Johann Ewald.” Participation is free and open to all. Members should provide their own books. To register, please call the park Visitor Center at 215-493-4076.